The standard deduction serves as the biggest tax deduction for most filers. 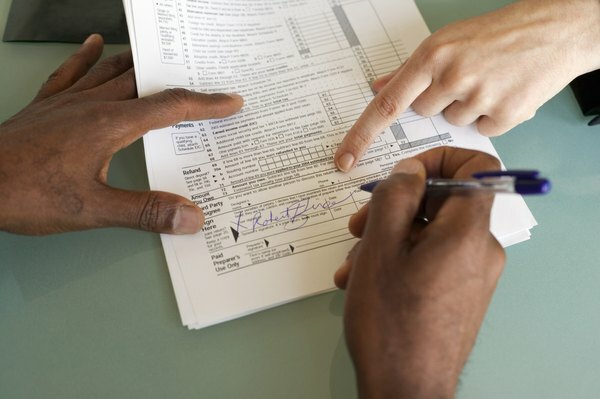 Taking advantage of every possible deduction on your tax form can take a big bite out of your tax bill. While many municipalities and the federal government allow taxpayers to itemize deductions based on expenses, more than two-thirds of all filers take the standard deduction instead, reports CNN. Thanks to changes in the state tax code since 2009, Oklahoma taxpayers now enjoy a state-level deduction equal to the standard deduction taken at the federal level. From 1982 to 2002, Oklahoma's standard deduction remained fixed at $1,000, reports NewsOK, the website of "The Oklahoman" newspaper. Starting in 2005, the state made changes to the standard deduction to bring it more in line with federal deductions. In 2005, Oklahoma residents could deduct the larger of $1,000 or 15 percent of adjusted gross income, with a maximum standard deduction of $2,000. In 2006, the deduction increased to $2,000 for single filers and $3,000 for married couples. In 2007, it increased again to $2,750 and $5,500, respectively. The 2008 standard deduction in Oklahoma was $3,250 for singles and $6,500 for married couples. By 2009, these amounts rose again to $4,250 and $8,500. Finally in 2010, the state of Oklahoma set the standard deduction to match the amount set by the federal government. In 2011, single Oklahoma taxpayers took a standard deduction of $5,800 on both federal and state returns, while married filers took a deduction of $11,600 on each of these returns. In 2012, the federal and Oklahoma state standard deduction increased to $11,900 for married couples and $5,950 for singles. "Forbes" reports that the standard deduction for 2013 sits at $6,100 for individuals and $12,200 for married couples. Oklahoma taxpayers may qualify for additional personal and dependent exemptions in addition to the standard deduction. As of the 2012 tax year, each filer may take a $1,000 deduction for himself, his spouse and for each dependent. Taxpayers who are blind or who have a blind spouse may take an additional $1,000 exemption. Each taxpayer over the age of 65 or who has a spouse over the age of 65 may qualify for an additional $1,000 exemption if she meets certain income levels. As of the 2012 tax year, this exemption applies to single filers with an adjusted gross income, or AGI, below $15,000 and married filers with an AGI below $25,000. Oklahoma requires taxpayers to itemize their state return if they itemized their federal return. If you take the standard deduction on your federal return, you must also claim the standard deduction on your Oklahoma state return. State income tax rates in Oklahoma range from 0.5 percent to 5.25 percent, depending on your income bracket. Single filers with an AGI below $1,000 pay 0.5 percent, while those earning $8,701 pay 5.25 percent. Married filers pay 0.5 percent on the first $2,000 of AGI, while the tax rate increases to 5.25 on an AGI over $15,001 as of the 2012 tax year. Do Montana Residents Pay State Income Tax on Social Security Benefits? Do You Pay Pennsylvania Tax When Retired and on a Pension and Social Security? Do I Pay State Taxes on Social Security Benefits? What Criteria Determine Whether I Have to Pay the Alternative Minimum Tax?